Stop racing around on payday. With the Direct Deposit tool from Procare, each employee’s pay is transferred from the child care center’s bank account directly to the account of each employee. Direct deposit benefits you as the child care center owner or director, and employees love it too! You’ll save time and be green-friendly by not printing paper payroll checks, while your staff will no longer need to rush off to the bank on payday. The Direct Deposit tool is free to child care providers who use Procare’s Employee Data and Payroll Software. Funds transfer from your bank account to each employee. 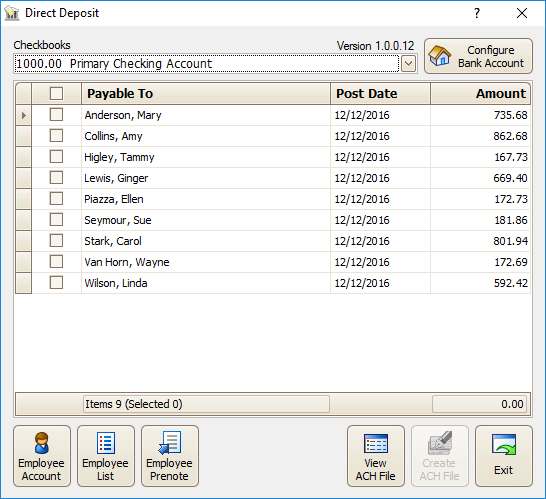 Print direct deposit pay stubs (optional). Download a Free Direct Deposit Authorization Form. * Ask your bank about their policies for processing your direct deposit file. Already a Procare Payroll User? If you’re already using Procare Payroll, just Download Procares Direct Deposit Tool.